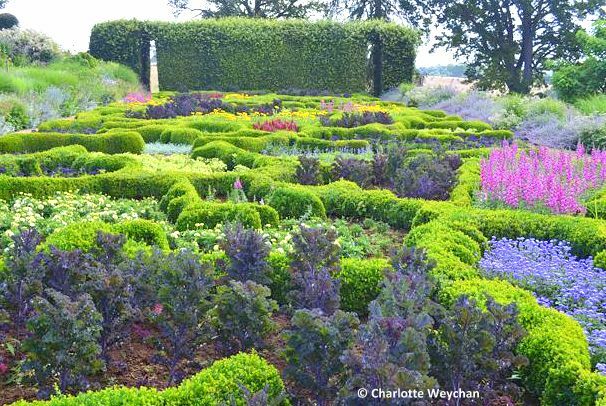 When Tom Stuart Smith was commissioned to re-design the gardens at Broughton Grange as a Millennium project for the owners, he introduced a whole new meaning to the concept of parterre in this country. His design is unique - based on shapes taken from the leaf cell structures of beech, oak and ash trees featured elsewhere in the garden - and although it's difficult to see the precise patterns in the pictures here, save for the crinkly shapes, you can see that both compartment structure and planting are unique. 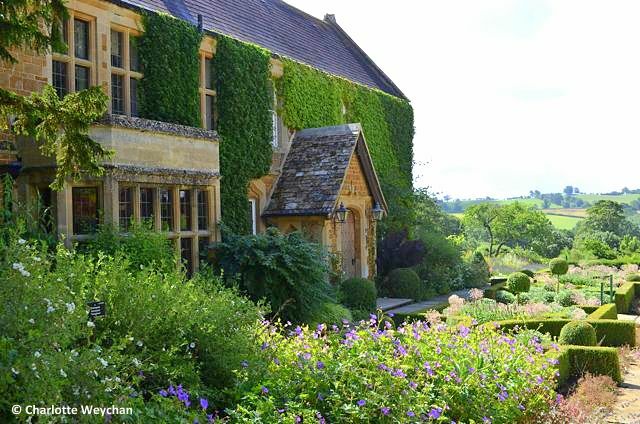 Broughton Grange is just outside Banbury in Oxfordshire - it's a Cotswold stone manor house, set in the heart of a 350-acre estate with fine views over the surrounding countryside. When the owners approached Tom Stuart Smith to redesign the existing landscape there was no walled garden here at all. 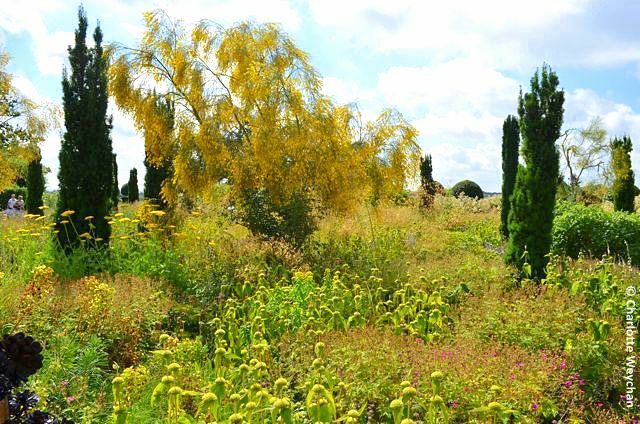 It was merely an empty field overlooking the distant horizon, which he transformed into a three-tiered terrace with prairie planting, a productive vegetable garden, unusual water features and a spectacular and unusual parterre. Look elsewhere in this garden and you will find a very different tempo, including the immaculate knot garden to the west of the main house (above), edged in York stone and a much more traditional second parterre (below), running on an east-west axis to the south of the property, and leading into the traditional long borders to the south. 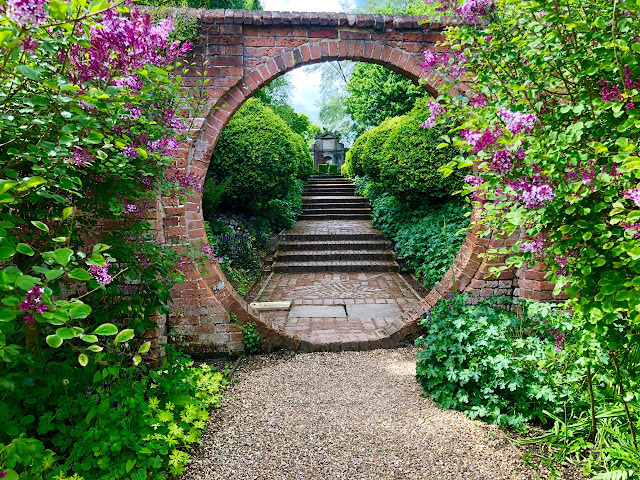 The garden extends to 25 acres and includes many mature trees, an orchard, and a sunken garden which is home to a stumpery and peat wall garden. 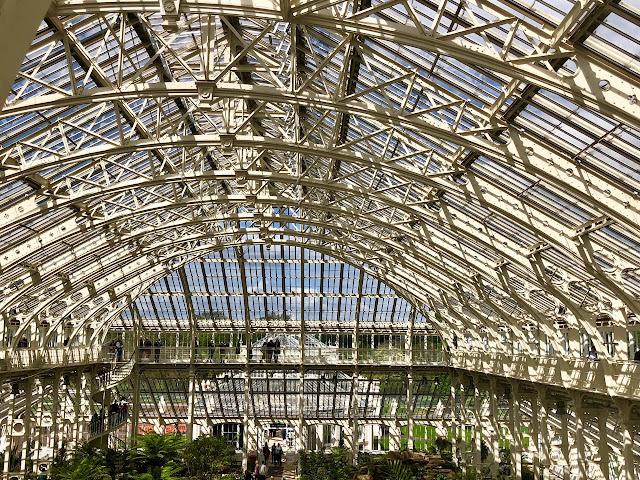 A further 80 acres have been designated as an arboretum. 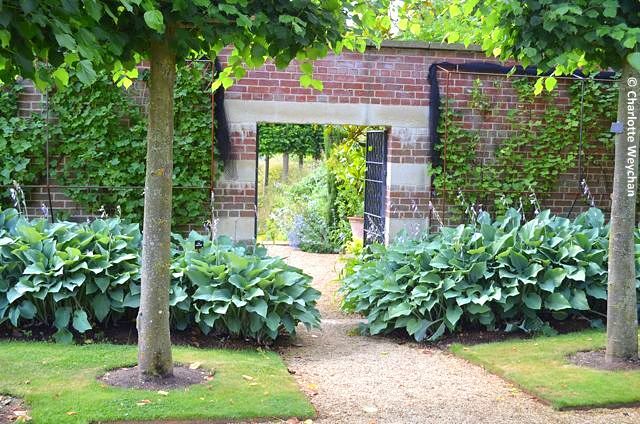 But it is the walled garden - designed in 2000 by Tom Stuart Smith, who worked in conjunction with architect Ptolemy Dean on the hard landscaping - that appeals to visitors on the annual open days here at Broughton Grange. It is designed to provide year-round interest and each October some 5,000 tulip bulbs are planted to ensure spectacular displays in springtime. These are later replaced with summer flowering plants to give colour throughout the summer months. 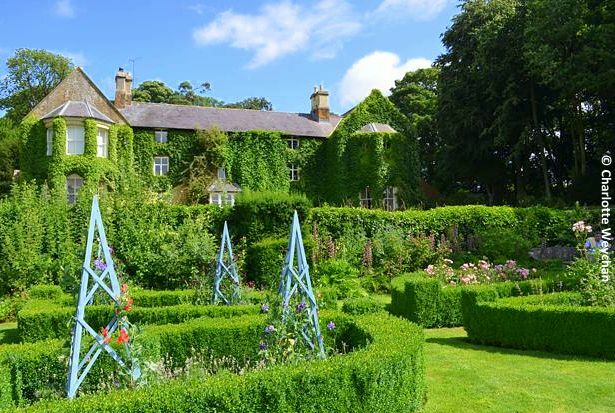 Broughton Grange had been in the Morrell family for nearly 200 years before changing hands in 1992 and the garden was desperately in need of renovation when purchased by the present owners. The garden is open every Wednesday from May to September (10.00-16.00) and admission is £6.00 for adults (children under 16 free). Details of other open days - for the local hospice and the NGS are shown on the Broughton website. For more summer garden ideas, click here. A remarkable big scale garden and first time I've seen these parterres in a non-geometrical pattern - very interesting! 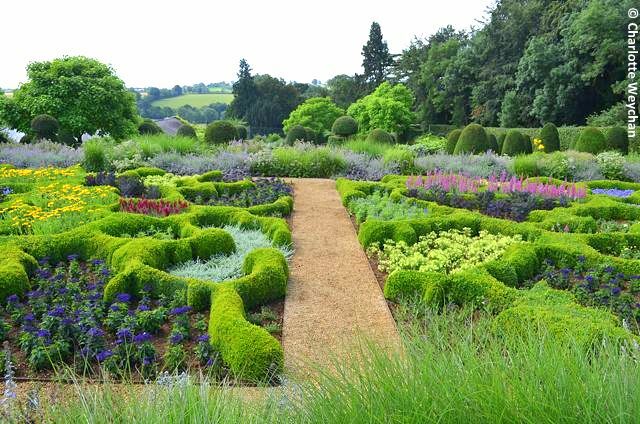 I didn't think I'd ever like a parterre...but that Tom Stuart-Smith is a genius...that's an idea worth stealing! I love how the circle of a green field with the dk green spheres of treetops echoes the curves and spheres of the parterre in the second to last photo--- such a wonderful integration of the distant view with the immediate garden. I would like to see this garden myself if I ever get the chance. Thanks for showing me this. The photos are large class again. I am happy to come to this site to enjoy myself at the various gardens! Thank you for your efforts. That's a stunning garden. The parterre is simply amazing. I also love the prairie style planting as well. Tom Stuart Smith is obviously a man with talent.